As 2019 begins, the ocean tech community celebrates 50 years of Oceanology International, a global gathering and showcase of the tools and technologies used by maritime industry, science, and defense. In that retrospective spirit it is informative to look to the history of the unmanned maritime vehicle (UMV) community. While there are records of developments in the field as far back as 1957, the modern era traces its roots to the early 1990s. One key source of technology developments was the MIT Sea Grant Autonomous Underwater Vehicle (AUV) Lab which spawned numerous vehicles, launched an industry leader, and trained many engineers now shaping the field around the world. The evolution of AUVs, sometimes known as UUVs, and autonomous surface vehicles (ASVs), sometimes known and USVs, illustrates both technical and commercial influences. As the technology has matured the applications and business impact has grown too. In the early 1990s the MIT AUV Lab was working with a vehicle series known as the Odyssey Class. These were roughly 21 inches in diameter and about 2 meters long. They were designed to dive as deep as 6,000 meters but be relatively affordable and easy to deploy. These vehicles supported many science missions including under-ice work in the Arctic and oceanography in the Antarctic. A key program supported by these vehicles, sponsored by the Office of Naval Research (ONR), was known as the Autonomous Ocean Sampling Network. This pioneered designs for docking AUVs. Experiments in seafloor mapping and mine hunting were also conducted during the first ten years of the AUV Lab. In 1997 Bluefin Robotics was founded to transition these ideas into industry, the first of many commercial AUV manufacturers to follow. The Odyssey technology developments touched upon all domains. The core developments in unmanned vehicle control inspired today’s software communities. 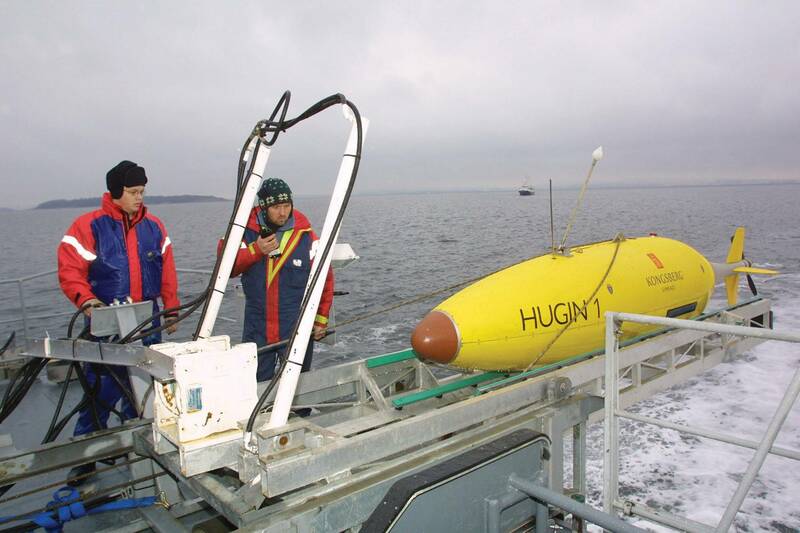 In particular the Mission Oriented Operating Suite (MOOS) was launched at the MIT AUV Lab in the early 2000s. Other technical developments undertaken were experiments with early acoustic modems and Doppler velocity logs (DVLs). Payload systems were also integrated and evaluated. Early digital side-scan sonars were an important step toward today’s survey AUVs. 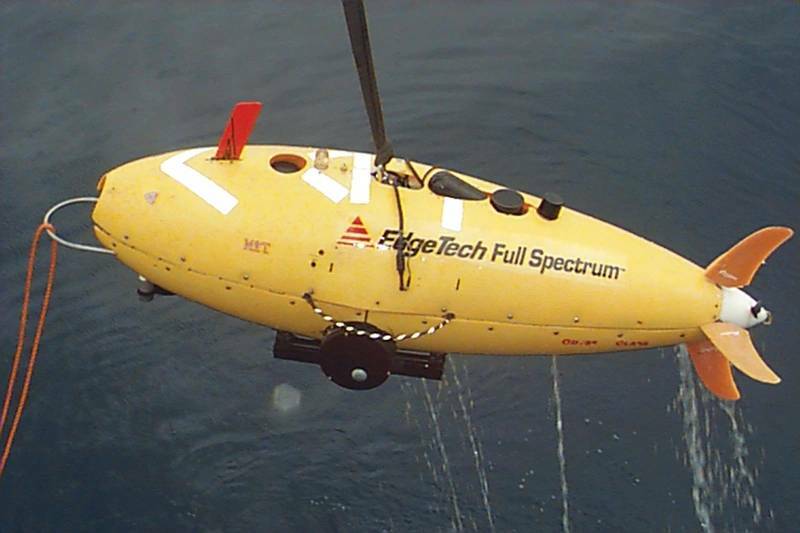 The first integration of a sub-bottom profiler on an AUV was also completed by the MIT AUV Lab during its first decade. AUVs come in numerous shapes and sizes. Technologies that were out of reach 25 years ago are commonplace. The Hugin vehicle is one of the leading commercial vehicles in service today. It is illustrative of the entire community, offering a comprehensive payload sensor suite including side-scan sonar, sub-bottom profiler, multibeam echosounders, magnetometers and cameras. Emerging payloads demonstrated on Hugin include synthetic aperture sonar and laser scanners. The navigation solution for Hugin AUVs uses raw output from an onboard inertial measurement unit (IMU) coupled with other available in-situ sensors processed in real-time using a Kalman filter. These are all significant improvements from the first Odyssey vehicles that carried little more than a temperature sensor and counted propeller turns for undersea positioning purposes. Commercially Hugin, and its competitors, are serving numerous markets. Military buyers use AUVs for mine hunting and physical oceanography. Science users search for shipwrecks and hydrothermal vents. But the most vibrant commercial sector for AUVs is in offshore energy. Both oil and gas and renewables such as offshore wind employ AUVs for many different types of mission from site characterization & inspection to pipeline inspection. Marine hydrography and 3D pseudo-seismic as well as archaeological studies are also common commercial applications. Today the survey AUV is not just accepted, but expected, in many maritime applications. 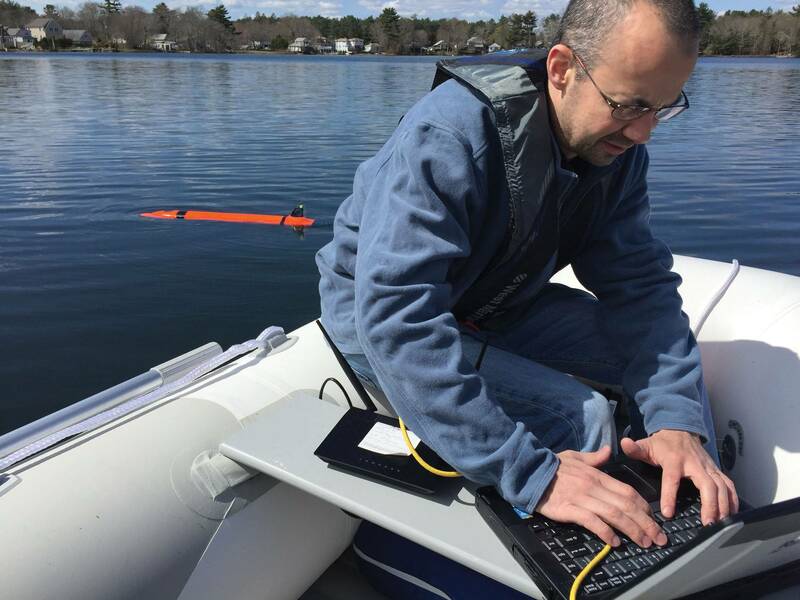 With survey AUVs becoming commonplace the emerging frontier for AUVs includes novel concepts enabled by modern electronics, design, and manufacturing techniques. In QinetiQ North America’s SEAScout we see a compact, simple approach. Teleynde’s Gavia offers modularity for payload and system components, and the Riptide UUV family leverages open source approaches to be especially user-friendly. 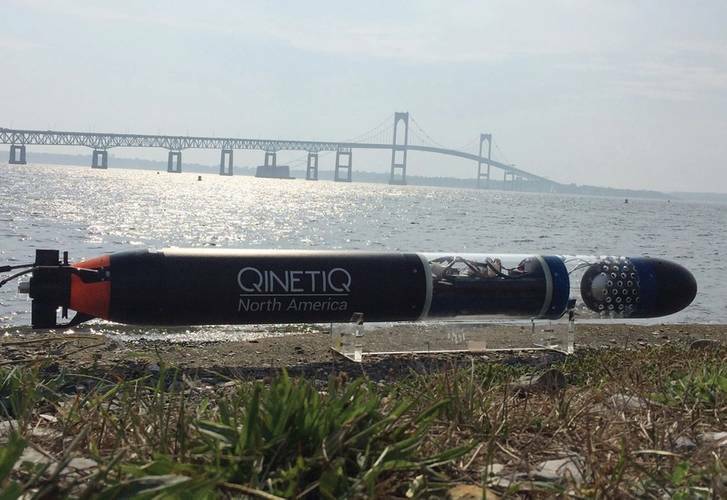 QinetiQ North America’s SEAScout is a lightweight, A-size, very small UUV featuring a reconfigurable payload capacity that enables it to perform multiple maritime missions such as decoy, gateway buoy, neutralizer, data gathering, intelligence, surveillance, and reconnaissance. The latest generation SEAScout, is offering enhanced endurance, communications, and navigational accuracy, as well as new payloads. This work builds on the successful integration of an acoustic payload demonstrated at ANTX 2018. This new compact UUV is designed to be readily and easily employed by US Navy sailors without specialized training, simplifying employment on real world missions. Teledyne’s Gavia uses a unique mechanical/electrical design that allows the vehicle to be disassembled into smaller components. This allows the 1,000 meter rated vehicle to be easily deployed around the world. It also provides the opportunity for users of the vehicle to expand their future operations with new payload modules that are backwards-compatible with AUVs built before the payload sensors were available. This has been demonstrated with AUVs delivered in 2008 employing new payload modules built in 2018, a full ten years later. Riptide Autonomous Solutions has built a family of AUVs. It started with a microUUV and have expanded to larger and deep-rated variants. But it is what is on the inside that matters. Employing the latest developments in electronics and software makes Riptide vehicles especially flexible. Their architecture features open hardware and software interfaces to provide users a reliable and robust platform to advance technology development. This same approach has also allowed the company to rapidly adapt and launch new standard products within 14 months. While this is not quite the pace of consumer electronics, it is very rapid product development. The AUV community is moving quickly into the next 25 years. As with AUVs, MIT was a source of early autonomous surface vehicle (ASV) development. There were significant parallels with AUV work. Early prototypes in the 1990s did not use GPS, lacked WiFi, and struggled with payloads. Like the Odyssey AUVs these vehicles used a fully autonomous approach without any vehicle interaction once a mission was launched. One area of early innovation on the surface was the use of internal combustion engines for propulsion. These early ASVs were first inspired by fisheries research, intended as tools to track tagged fish. Eventually the focus shifted to hydrographic survey, which has become one of the most common missions today. In recent years ASVs have proliferated, especially small systems for shoreside use. In the domain of ocean-going systems there are fewer players. ASV Global, now L3 ASV, pioneered this area, specializing in the development, supply, and integration of unmanned surface vessel technology. 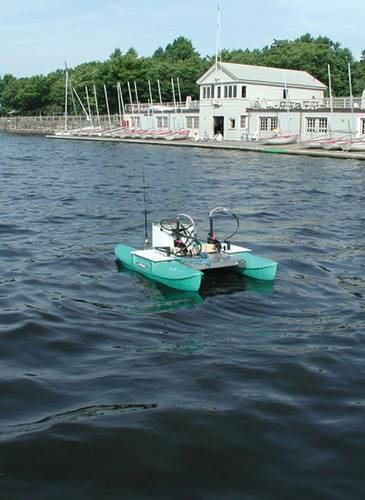 They offer a range of complete USV systems from two to fifteen meters in length. In addition to L3 ASVs’ product range the company is undertaking projects to convert ships and small craft for unmanned operations. The wide product range allows ASV to provide varying and proven solutions to the market for operations in an inland, coastal and offshore environments. They have delivered more than 100 autonomous systems to more than 60 customers in 15 countries. Like survey AUVs, ASVs are now a proven tool. The mission of seafloor survey remains a core application for this technology. 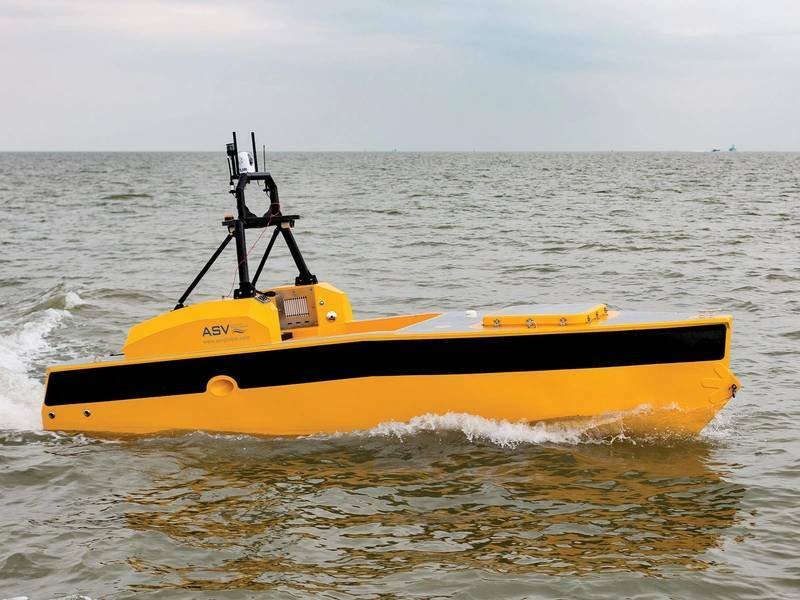 In this domain ASV recently announced a partnership with Fugro, a global survey leader, to create the next generation of autonomous vessels for the commercial survey market. Developing this new autonomous vessel solution will help the survey industry reduce offshore staff exposure and increase operational efficiency by making operations safer and more cost effective. Since the mid-1990s the internet, software, and sophisticated electronics have transformed life ashore. At sea there have been equally transformative developments. Early AUVs and ASVs demonstrated the potential of unmanned systems to transform ocean operations in all sectors of the blue economy. Early AUVs delivered results for oceanography, today they serve diverse sectors and are a fundamental element of offshore survey. ASVs have evolved from rudimentary near-shore tools to globally-relevant platforms networked to operators thousands of miles away. In 25 years hundreds of new unmanned maritime vehicles have been developed. They have crossed oceans, discovered shipwrecks, found mines, and surveyed hundreds of thousands of miles of seafloor. Henry Stommel’s visionary article, The Slocum mission, was published in 1989. He anticipated fleets of autonomous vehicles roaming the ocean over long time scales and collecting unprecedented new oceanographic data sets. Now, 30 years later, with the ongoing success of unmanned undersea, and surface vehicles, Stommel’s vision has been demonstrated, if not achieved. Justin Manley is a technologist and executive with experience in startups, corporations, academia, and government. At Just Innovation Inc. he supports clients with a focus on unmanned systems.